Thieves are increasingly targeting cars with keyless ignitions. Just as drivers can get into their cars without touching the key, so crooks can steal the car without having the key on them. And a new technique called relay attack is being used increasingly. Vehicle recovery company Tracker says 66 per cent of the cars it recovered last year were stolen by relay. And Tracker claims that 96 per cent of drivers whose cars have keyless ignition could be vulnerable to this form of theft. Andy Barrs, head of police liaison for Tracker said: “The new relay attack technique has gained significant ground in the US and Germany. 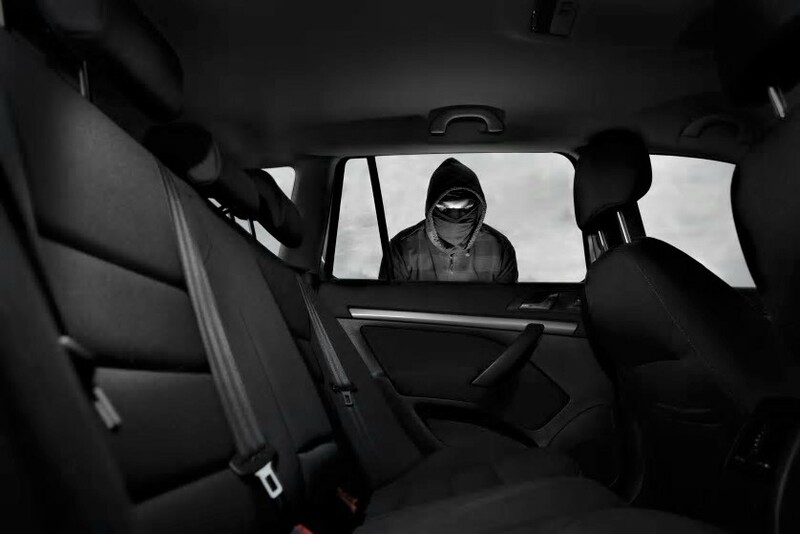 But it’s also beginning to take hold in the UK, so vehicle owners need to protect themselves and their assets.” Here are some simple steps drivers can take to prevent themselves becoming victims. The new form of relay attack requires two crooks working together. One stands near to where the key is inside the house. Since the signal emitted from the key’s transponder will go through brick, wood and glass, they can pick it up using equipment they can buy over the internet. They amplify the key’s signal and push it onto a second box near the car. This tricks the car into thinking the key is nearby because it can detect the signal. The car unlocks and can be driven away. Watch how quickly a pair of thieves made off with a car in Solihull West Midlands using this technique. Tracker’s research found that 13 per cent of people leave their keys in the hallway. It claimed: “This is as good as leaving the door open for thieves.” A quarter (25 per cent) leave their keys in a dedicated key pot or on a key hook downstairs. And 15 per cent put them in a draw downstairs. Vehicle security experts Thatcham Research revealed: “Store your keys away from household entry points. Keeping your keyless entry fob out of sight is not enough – thieves only need to gain proximity to the key to amplify the signal.” It’s best, if possible, to have your keys out of sight and as far away from outside walls as possible. Transmitter signals aren’t strong enough to get through metal. If you keep your car keys in a metal box, the relay box the criminals use won’t be able to pick up the signal from the key. The thieves should move on to a softer target. Where? Metal key boxes can be bought over the internet for less than £10. A Faraday wallet, does exactly the same job as the metal box: it blocks any signal. But while a bulky metal box might ruin the outline of your suit, Faraday wallets are much smaller and more discreet. Simply slip your key fob into the bag and no one will be able to access its signal. Where? Search on the internet for ‘fob guard’. They cost around £7. Some keys can have their wireless function turned off. If your car is one of them, switch the system so that the car has to be opened and locked by pressing the button on the fob. This will prevent it transmitting any signal when not in use. How? Read the vehicle handbook or ask a main dealer or manufacturer if your car has this function. They might sound a bit old school but steering locks are a brilliant way of deterring thieves. Just the sight of the security device on your steering wheel will likely encourage them to move on to something simpler to steal. Even if the villain gains access to your car without setting the alarm off, they won’t be able to go far with a steering lock on. What? 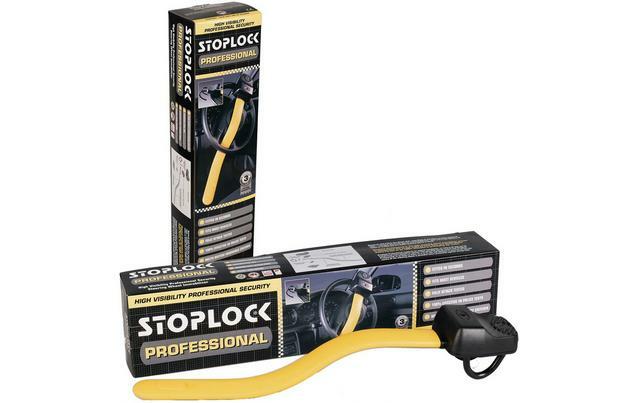 The bright yellow Stoplock Pro is easy to use, and difficult for anyone to get off unless they come armed with specialist tools and are prepared to make an awful lot of attention-attracting noise. Available online and from motor retailers it costs around £50. Alternatively, go to the Thatcham website where all its approved security devices are listed. Keyless entry enables drivers to unlock a car and start the engine without touching a key or key fob. It operates by the key fob employing a small transponder to send a signal to a receiver in the car. The key fob can be kept in a driver’s pocket or bag. When the car’s receiver gets the unique signal from that key, it unlocks the car when the driver operates the door handle and enables the driver to start the engine. Technology advance is difficult to keep up with. Old fashioned I may be, but give me a key anyday. I am forwarding this to our son and daughterinlaw, who both have keyless cars. They laugh at me for using a steering lock, perhaps they might think differently after reading this. Yet another totally unnecessary thing invented by the motor industry – as is the electric parking brake released by depressing the accelerator pedal, even when an automatic vehicle is in gear. In the first case it is an unnecessary security risk. In the second, at least one person has been killed because of this frivolous way of releasing the parking brake. And now we are to have driverless lorries in convoy and driverless cars. More stupidities from the motor industry. Luddites never want any progress. Most planes fly themselves and are far safer. Deliveries cars will reduce human error which is by far the biggest cause of accidents. My car detects pedestrians and cyclist who may be at risk and alerts me if the danger is imminent it will brake quicker than a human can. It also detects tiredness and unplanned lane deviation and warns me.